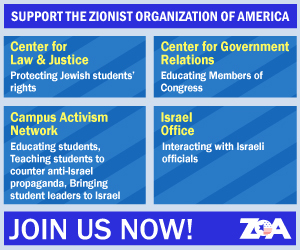 The Zionist Organization of America (ZOA) today congratulated the Congress and President Trump on achieving the goals of the Anti-Terrorism Clarification Act of 2018 (ATCA), which was signed into law by President Trump in October of last year. A letter, written by Palestinian Authority (PA) Prime Minister Rami Hamdallah to US Secretary of State Mike Pompeo, was made public this weekend, which rejects all assistance from the US in order to allow the PA to continue to avoid the jurisdiction of US courts in cases of terrorism against US citizens. The new law will take effect February 1 and forces the PA to choose between continuing its terrorist activity and accepting US aid. Predictably, the leadership of the PA is choosing to maintain terrorism as a tool of policy. The ZOA was a strong supporter of the ATCA law, primarily because it wanted the victims of PLO terror to receive compensation in US courts. 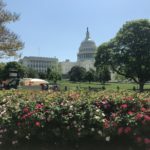 The Government Relations Department of ZOA was heavily involved in efforts to pass this law last fall. It ended the “acts of war” exemption in the 1992 law which enabled some defendants, accused of aiding and abetting terrorism, to shield themselves from civil liability. The ATC Act makes it clear that the “acts of war” defense does not apply to acts carried out by any entity designated by the US government as a foreign terrorist organization. It gave victims of drug-related terrorist activity a way to satisfy judgments they obtain under the 1992 law. Up to this point, assets frozen under the Foreign Narcotics Kingpin Designation Act were not available to terror victims who secured a judgment under the 1992 law. 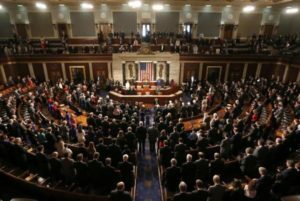 It restored the jurisdiction of US courts in foreign terrorism cases – as Congress intended – over defendants who are taking advantage of certain benefits provided to them by the US government. After the US Supreme Court declined to review the lower court’s decision in Sokolow v. Palestine Liberation Organization, terror victims were faced with almost impossible jurisdictional hurdles to satisfy in order to proceed against foreign defendants under the 1992 law. Under the ATC Act, if a defendant accepts US foreign assistance or operates an office inside the US, then – as a condition of accepting those privileges – the defendant is deemed to have consented to personal jurisdiction in lawsuits brought under the 1992 law.